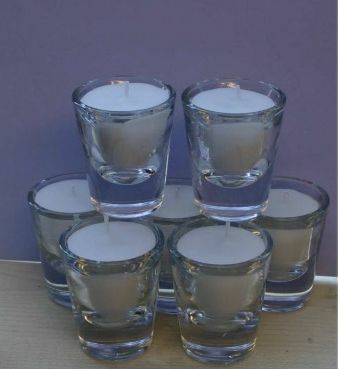 Flared shot glass candle. Make ideal favours or table decorations. Available in a wide range of colours from drop down box. Approx 2 inches high 35 mm diameter at base; 1.5 inches wide at top. Burn time approx 8 hours.